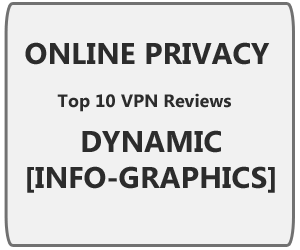 Choose best VPN service provider for your online privacy and compare their reviews, price and no. of users by viewing their statistics in first dynamic info-graphics. In my last post I told you that why we use VPN? Now if you are ready to install a VPN on your Windows OS, MAC or IOS device then this post wil help you to choose best from a hub of VPN service providers. As demand of online privacy is increasing day by day so VPN service providers also have a strong competition. But how can we choose a best solution for our online security? That's why I did a survey on different vpn service providers and created a dynamic infographics (as you can see below) by comparing their different statics like number of users, their facebook & twitter fans, their compatibility and price etc. So if you want to hide your IP or want to create a private network or want to access blocked websites like facebook, twitter at your school / work or want to save your network from snoopers then choose best security solution for any of your device either windows or MAC or Android/iPhone.